This is my first blog with Ballard Power Systems after starting back in May, 2017. I wanted to share my experiences and observations from my meetings with many of our talented staff and with multiple customers around the globe. 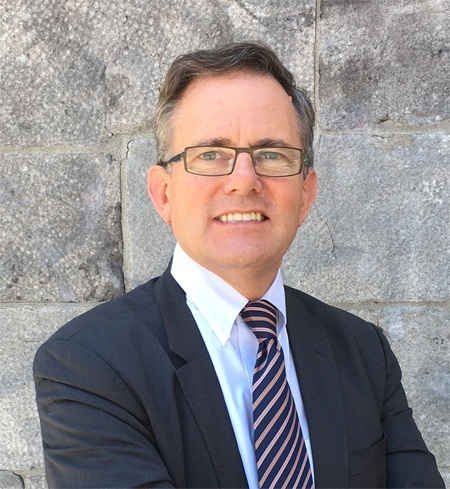 As Ballard’s Chief Commercial Officer, it is my responsibility and commitment to do my best in helping theCompany meet (and exceed) customer expectations while delivering on key Ballard goals as we all transition to a cleantech economy. Having worked in cleantech for almost 20 years, it’s evident to me that we are now at a historic intersection of need and capability in the fuel cell market. This is a time of tremendous opportunity combined with complex challenges. The Ballard team is ready to solve those challenges. Although this is a global issue, I would like to use a local example that demonstrates my point. Throughout this past summer, we have been experiencing significant forest fire-induced smog in Vancouver, Canada, the home to Ballard’s head office. This smog is being generated by forest fires burning hundreds of kilometers away, and there is strong evidence that the fires are a result of climate change. And we’re not alone. Cities around the world are experiencing these types of extreme weather conditions with increasing frequency. This serious condition needs to be addressed in a systemic and long-term manner. It’s clear that we need a major global shift from fossil fuel consumption to low or zero-emission applications. I personally experienced health challenges with the Vancouver smog during the month of August, and am thankful that an ensuing rainstorm had an immediate and positive impact on the air quality. But this situation forced me to imagine what it would be like if the air quality never improved and, in fact, worsened due to ongoing air pollution issues. That is the reality for many of the communities in which Ballard now operates. The air pollution in these areas is so bad that it makes people ill every day. It’s clear that the urgent need to address both climate change and air pollution is coming at us sooner and faster than many people want to acknowledge. 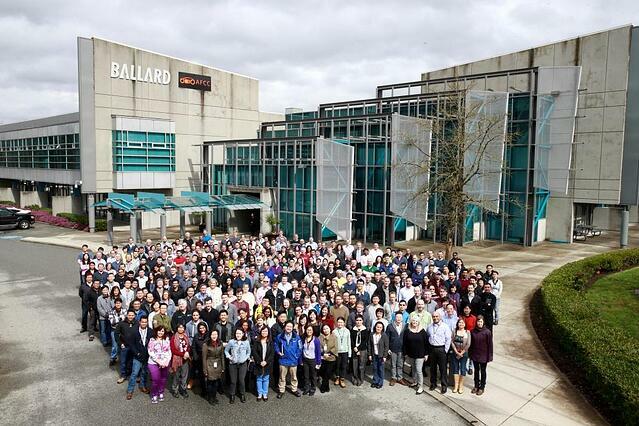 For the past 38 years, the team at Ballard has been working hard to be part of the solution. During that time, we have discovered it is much harder than we all imagined to commercialize a product that will change the world for the better. However, from everything I have seen since arriving at Ballard, I am very pleased to report that we are in the best position we’ve ever been in to deliver on this challenge. We have leading technology, experience, capability, and brand. This is our foundation. We have the most miles driven, the most buses deployed, and the most capacity to deliver robust and proven technology. Electrification of propulsion systems is happening in buses, trucks, cars, and trains, and our fuel cells are complementary in providing better range, refueling time and driver experience. We have a growing stream of repeat and new customers actively working with us on significant contracts and new opportunities. We know how to work with tier one companies such as Audi and have established structures and processes to deliver quality solutions. We have grown in the past 2 years and will continue in the coming year. This growth profile is proof that the market recognizes our technology and that communities want to work with Ballard Power Systems. We have a diverse team bringing innovation to the job each and every day. Our Company leads the way and is establishing critical mass in key areas, such as after-market service with facilities and team members now in Europe, North America, and China. Our values are solid and our commitment is strong. The local team at Ballard Power Systems headquarters in Vancouver, Canada. The need for our world-class solution is growing every day, and we are going to be pushed to go faster. Faster means increasing our capabilities, lowering our costs and prices, taking on new responsibilities, and continuing our industry leadership. Let us look to Europe where we are presently pursuing a wider adoption of fuel cell buses. Projects in this region are funded, in part, by the EU and were set up to establish order volume to drive costs down. The JIVE (Joint Initiative for hydrogen Vehicles across Europe) project seeks to deploy 291 new zero emission fuel cell buses and associated refuelling infrastructure across several European countries. In relative terms, this is a huge demand compared to 2016 and is a major step up for Europe. These buses must operate at availability that is comparable to diesel power. We also must provide an operating cost structure that is defined and much lower than ever before. We now need to optimize costs and heighten performance so that the fuel cell solution is truly cost competitive, without reliance on government subsidies. We have the technology to do this and can achieve this goal by 2020 through total teamwork across this amazing organization. This total teamwork translates to Ballard delivering a fuel cell engine that is equal to, or better than, incumbent diesel engines in terms of reliability and performance. It also produces a total cost of ownership (initial cost, fuel consumption and maintenance costs) that is affordable for transit agencies in locations around the world. We are well past “proof of concept” or demo projects. Orders, such as the 600 unit Broad Ocean project, are evidence of Ballard’s competitive advantage. When combined with communities looking to deploy thousands of FCEVs in the coming year, I believe Ballard is in an enviable market position. As Chief Commercial Officer at Ballard Power Systems, my travels so far have taken me to the USA, London, Berlin, Stuttgart, and Poland. In China, I’ve visited Beijing, Shanghai, Yunfu, Guangzhou, Foshan, Zhongshan and Shenzhen. We have also had multiple delegations from China and Europe visit us at our head office in Canada. In all these visits and meetings, I can again reinforce that we are seeing a monumental shift to zero emission vehicles that is creating a huge opportunity to positively affect climate change issues around the world. Ours is a global business and it is keeping the commercial team and all of us very busy. The journey is worth it so we are committed to delivering on our promise and vision: Power to Change the World®. Our communities are counting on us, and need us now more than ever.